Brilliant garnet color. Aromas and flavors of cranberry, honeyed pear, and cucumber skin and aloe with a silky, crisp, petillant, moderately sweet light-to-medium body and a smooth, medium finish that presents notes of berry sorbet and fruit punch. A simple, easy, punch-like dessert wine or sweet tooth sipper. 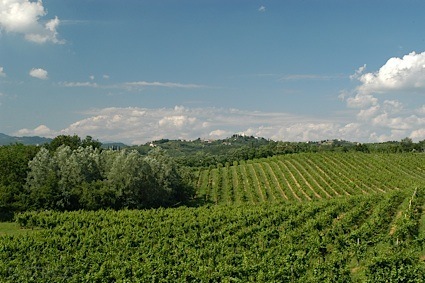 Bottom Line: A simple, easy, punch-like dessert wine or sweet tooth sipper. 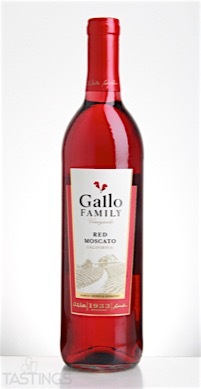 Gallo Family Vineyards NV Red Moscato, California rating was calculated by tastings.com to be 85 points out of 100 on 9/28/2016. Please note that MSRP may have changed since the date of our review.